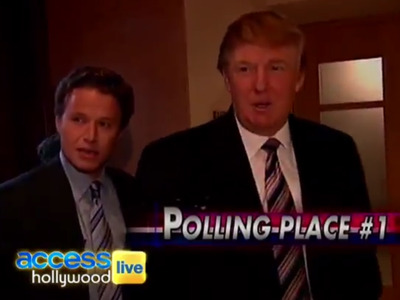 Screenshot/Access HollywoodBilly Bush and Donald Trump. Donald Trump has suggested that the election will be “rigged” against him — making unsubstantiated claims of past widespread voter fraud. “Make sure there’s no cheating here,” Trump said. To his astonishment, he couldn’t vote their either. Apparently, according to Bush, a change of address by Trump’s son, Donald Trump Jr., was the reason for the Manhattan billionaire’s voting difficulties. 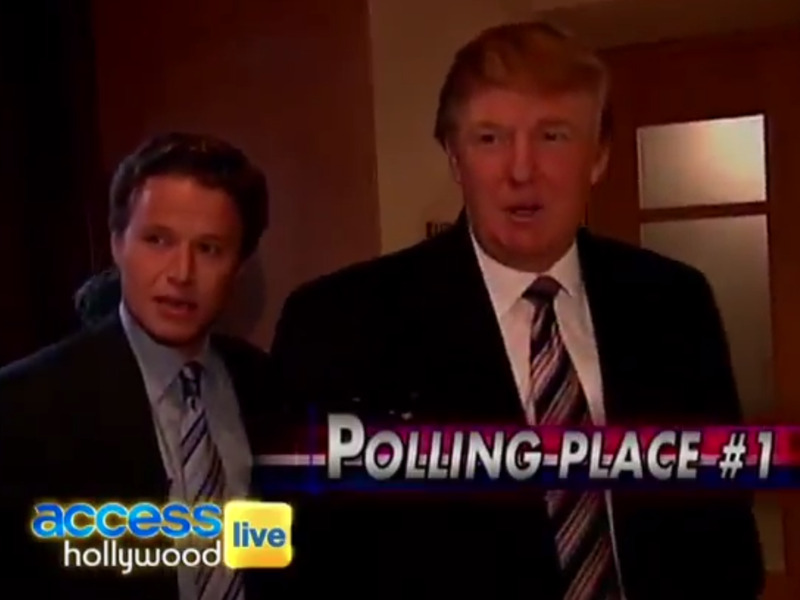 “Well I’m going to fill out the absentee ballot,” Trump said after learning he still could not vote in person at the location. “Donald, who did you vote for?” he said, curious if he cast a ballot for then-President George W. Bush or Sen. John Kerry of Massachusetts. “I don’t hear a word you’re saying,” Trump responded.